How to style wedge espadrilles? Forget the idea that espadrilles are only meant to be worn with casual outfits. I have decided to wear my Lloret wedge espadrilles from brand Viscata in total black outfit, perfect for a sunset drink on the beach but also for a walk in the city. A cotton and lace black off the shoulder dress was my choice, together with a leather Malloni bag. My Viscatas are handcrafted in Barcelona, Spain, and are super comfortable. I went for a slingback design, that is also my favorite design for heels, but there are so many other espadrillas on Viscata website, and they fit true to size. I love the shape of these espadrillas because of the pointed toe, not too usual. Come abbinare le espadrillas con zeppa? Dimenticate l'idea che le espadrillas siano solo adatte ad outfit casual. Ho deciso di indossare le mie espadrillas con zeppa Lloret del brand Viscata con questo outfit total black, perfetto per un drink al tramonto sulla spiaggia ma anche per un giro in città. Un abito in cotone e pizzo off the shoulder è stata la mia scelta, insieme ad una borsa in pelle di Malloni. Le mie Viscata sono fatte a mano a Barcellona, Spagna, e sono super comode. Ho scelto un modello slingback aperto sul retro, che è anche il mio preferito per le scarpe con tacco, ma ci sono tanti altri tipi di espadrillas sul sito Viscata, e calzano il numero regolare. Adoro la forma di queste espadrillas perché più a punta di quelle usuali. Once in a while you get to see me in a total black look: you know how much I love colors but I do have quite a few little black dresses in my closet. I also own quite a few espadrilles: flat ones, sandal ones and wedges, and I have fallen in love with these ones from Viscata, they are so lightweight, comfortable and they have a modern twist. Mediterranean inspired, made of natural materials, they take me day to night with style. Made in Spain espadrilles are one of summer's must have, do you own at least a pair of them? Una volta ogni tanto mi vedete con un look total black: sapete quanto ami i colori ma ho un bel po' di abitini neri nel mio armadio. Ho anche un po' di espadrillas: basse, a sandalo e con zeppa, e mi sono innamorata di queste Viscata, sono così leggere, comode e hanno un che di moderno. Ispirate al Mediterraneo, con materiali naturali, mi accompagnano dal giorno alla notte con stile. Le espadrillas fatte in Spagna sono uno dei must have dell'estate, voi ne avete almeno un paio? Ottimo look come sempre Vale, carine le scarpe! Un bacio! WOW! You look so loooovely!!! Questo abitino è delizioso!! Abbinato alle espadrillas è davvero molto carino! Wedges are such a cute and versatile shoe and I adore how you've styled yours with the off-shoulder dress. You look gorgeous! Stunning look!! I love the wedges! Emozionante!...quando la Moda è Arte...il tuo outfit ne è un esempio...un applauso per te! Oh my beautiful Vale, you never ever make a mistake! This is such a classy yet edgy and unique outfit which only you can match like this. :) Beautiful off the shoulders dress and such a cool bag! Oh wow these pictures are so pretty! This is so unbelievably cute! Palazzo Pants are such kind of pieces for head turners that you need no extra peppiness to complement your complete attire. You can also buy online palazzos and can pair them up with contrasting tops, shirts and kurtis. I have similar shoes but in gold! they are summer perfect! I love those wedge shoes very much!! Such a lovely summer Outfit. Che bella, Vale, che bellezaa di look, in nero! Mi piace abito nero e con espadrilles, per l'estate! 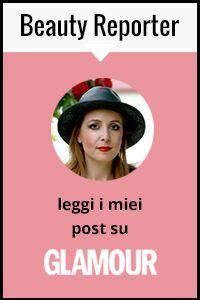 Sempre bella e con molto stile! Baci! Gorgeous, my friend. Love the dress, love the shoes. They create an alluring look. questo look è un esempio di come le cose semplici siano sempre le più chic ed eleganti, sei sempre top cara!